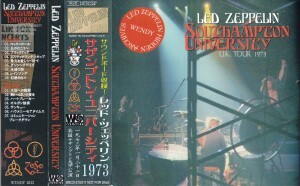 Southampton University Southampton, Uk January 22, 1973. 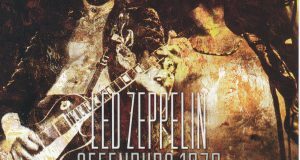 Digitally Remastered. 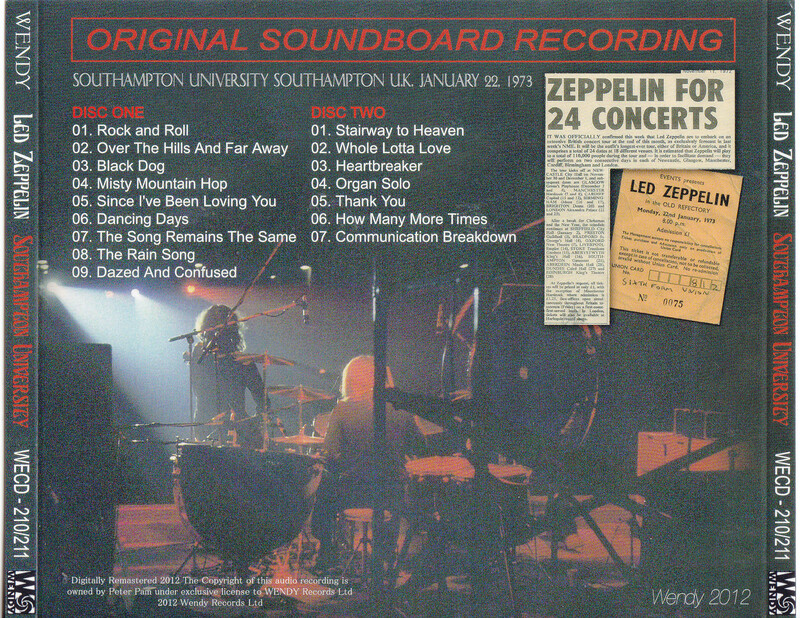 Latest work of Wendy label, is the title that was recorded sound board, a live that took place in January 22, 1973, University of Southampton. 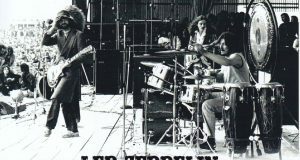 Concert of the day this is also famous that recording has been made in a multi-track officially, had been shelved for some reason, but I was surprised the sound board of a great high quality flows out in recent years. The sound source has been used in this work exactly. It is a Zeppelin, which has been a big band already by the time this, but this University of Southampton performances is added is schedule hurriedly, in a concert in a small stage carpeted Furthermore, this has been organized for the live recording can ask to be a concert. 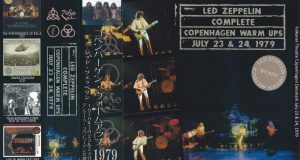 What was in the members consciousness assumes the recording, playing also a wonderful thing, it has become a great live album, which was accompanied by the sound quality and content exactly. 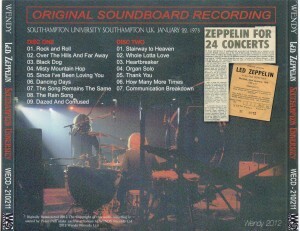 This work, recorded in ultra-high quality sound board this Southampton performances. Fine noise has been seen here and there, and also adjust successfully pitch that was crazy in its outstanding panel, but as there is no discomfort changes in sound quality in the middle of the “The Rain Song” and points, was removed to clean it I think such a point that has been subjected to modification, whether you have some sort of title already, but it has become a finish which can be called Ketteiban there is a unique advantage of generic. Press record firmly permanent preservation of the beautiful Picture Disc specification.